Whether going full speed on a straight stretch or being sporty round the corners, directional tread pattern tyres ensure driving pleasure with full safety – especially in wet conditions. A prerequisite for safe traction and especially good running characteristics is correct fitting. But how can you tell the direction of the tyres ? Directional tyres are marked on the side, i.e. on the tyre's sidewall. You will see the word "Rotation" or "Direction" written here. 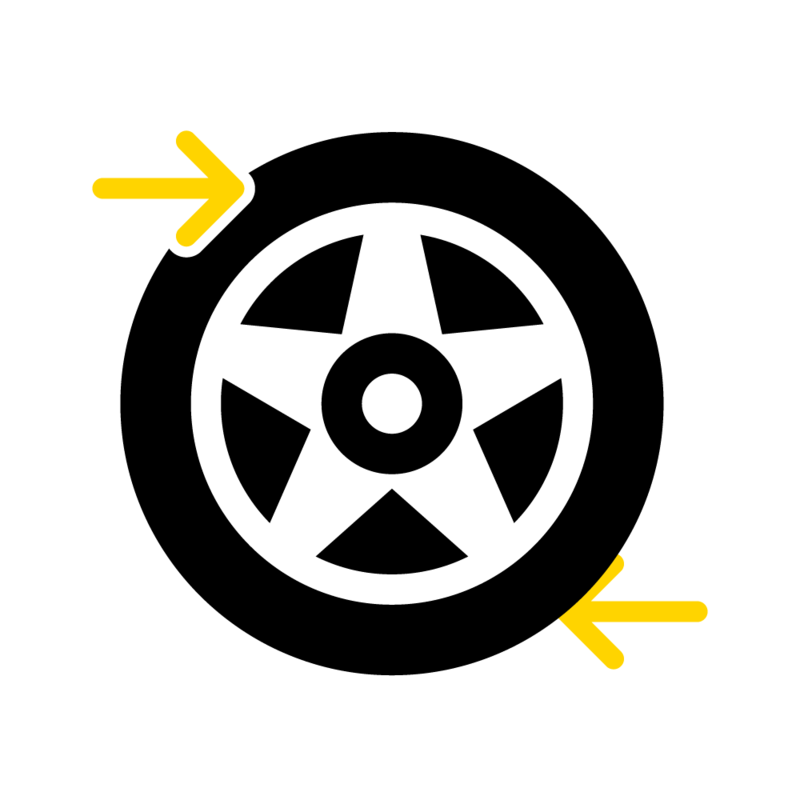 Next to it, there is a small arrow which indicates the tyre's forward direction (rolling direction). Mandatory winter tyres: From when do you need winter tyres? Tightening wheel nuts: Why is it so important? 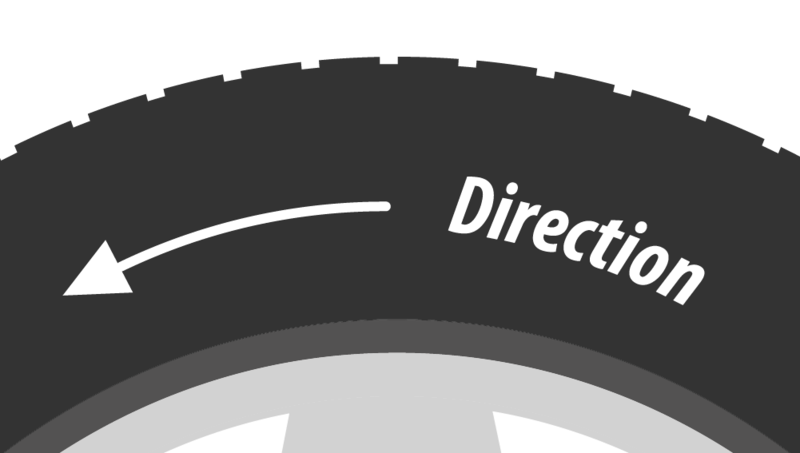 Directional car tyres: What is special about them? You might have noticed it before: Directional tyres have a "V" shaped profile as opposed to a "U" profile. This not only looks sporty, but also fulfils a special function: The arrangement and the inclined shape of the tread grooves ensure that any water is channelled very quickly onto the road and discharged immediately to the outside. This feature gives you special protection against aquaplaning. But not only that: the special profile shape also ensures stability at high speeds as well as on snow-covered ground. This is why winter tyres are often directional. 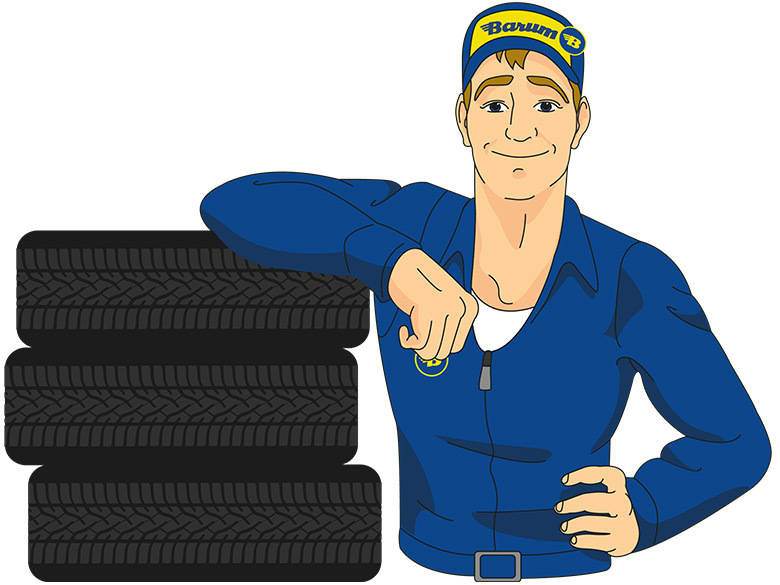 "Many summer tyres are also directional tyres. After all, heavy rain showers also occur in the warm months of the year." "In contrast to asymmetric tyres, directional tyres are not suitable for use as a spare tyre. This is because they are rim-dependent. 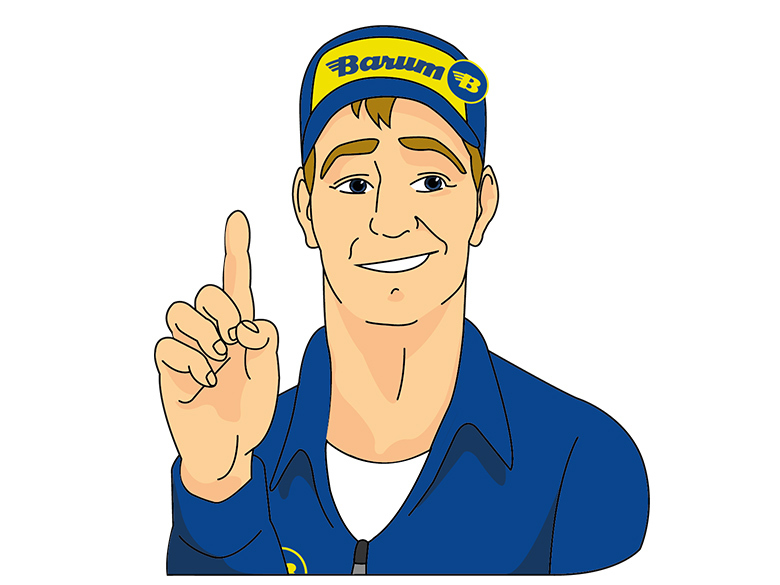 This means that, as they are mounted on the rim, the tyres are only suitable for one side of the vehicle and cannot be used flexibly on either side in the event of a breakdown." The special tread cannot work properly if directional tyres are mounted the wrong way round. This means that the tyres will not hold the road very well and the risk of aquaplaning will be greater. Incorrectly mounted tyres will also wear down faster and they will be louder when driving. Correct mounting is very important to ensure that directional tyres work to their full effect. This is why you should always abide by the marking on the tyre's sidewall.